The media feeds on Donald Trump and everything he does. Comedians, in particular, are heavily inspired by the president of the US. Daily Show host Trevor Noah declares that he is a “comedy cocaine.” It seems like another host and comedian is not immune to the drug as Stephen Colbert of the Late Show has sold an animated series dedicated to President Trump. Stephen Colbert is known to be a critic of Donald Trump and often leaves funny yet cutting remarks about him on The Late Show. Often, his jokes gain public attention and when he released a comedic statement about the sexual relationship between Trump and Putin, the president of the US himself left a comment, saying that there was nothing funny about what he said. But did that stop Colbert? Obviously, not. In fact, it appears that he’s not content with just that. He is set on bringing an animated Trump show into television. Cartoon Trump’s first appearance is not in the animated series. It will be remembered that he’s a familiar guest on The Late Show, first appearing in the opening segment of the Colbert’s Election Night Special last November. Colbert and the crowd immediately fell for the character. The success of the episode heavily inspired the creation of the series. The animated show will present animated versions of Trump and his family members. The plot is said to be based on the truish adventures of the family and all those around them including their top associates, golf pros, heads of other governments, and more. It will explore Trump’s history and psyches with the aim to reveal insights about the president. It will also touch real events in the news. 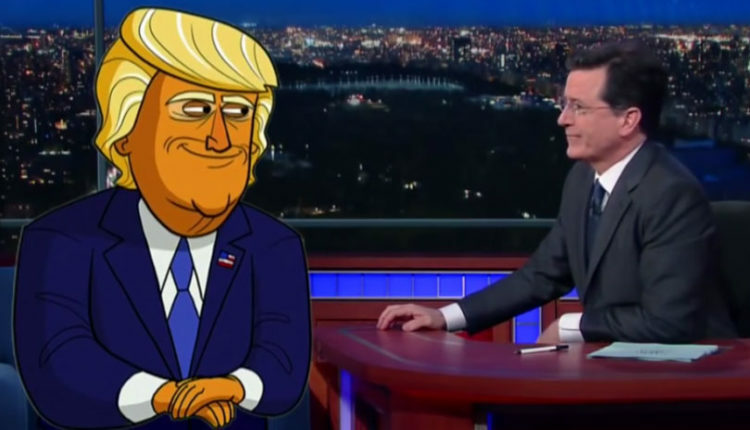 In an interview, Colbert says that he has known for some time that a lot of people want to see a cartoon version of the president. Their Trump animation will invite the audience into the private world of the first family. 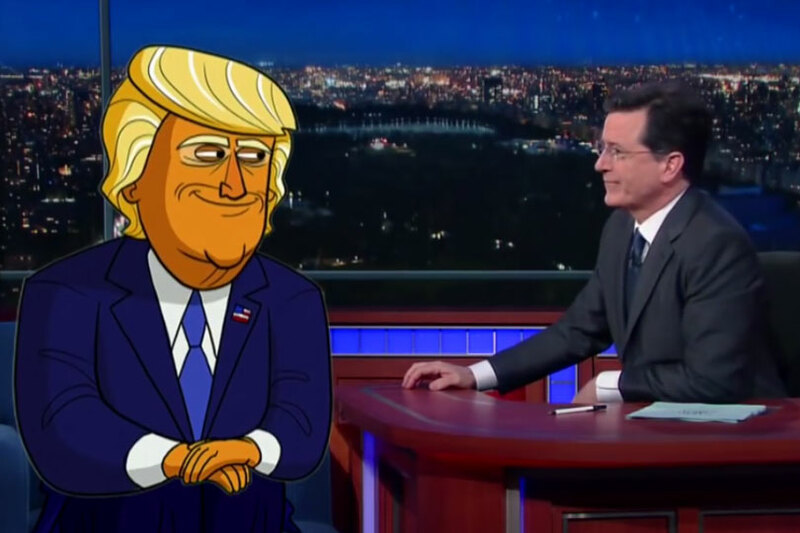 Colbert, along with The Late Show Chris Licht, is the executive producer of an half-hour animated series inspired by the most powerful family in the US. Tim Luecke, who is known to be one of the creators of the animated version of Mr. Trump in The Late Show, will be the lead animator of the series. Though there is not yet an official release of the series’ title, it is already set to air on Showtime during the fall of 2017. It has been ordered to have 10 episodes for the first season. The turnaround time of the animated series’ production will be quick. The network wants the most current events to play a role in the exploits of cartoon Trump. David Nevins, the CEO of the Showtime Networks, says that he has high hopes for the series. He believes that Colbert and Licht’s vision for an animated-comedy will get great attention from viewers. Of course, only time will actually tell.